. Published on September 21, 2018 . As my grandfather remind me frequently, “There is a fine line between badass & dumbass.” I don’t know if this qualifies as boldness or the latter. I lied to my parents and grandparents at age 20, told them I had gotten accepted into a language academy in Lima, Peru, and needed their financial assistance to get there and stay for a year. When in fact I hadn’t been accepted, and just wanted to go play soccer. I had managed to arrange a two-week stay with a friend’s parents (whom I have never met) there, and had confidence (or stupidity) that I would figure it out as I went along. When I actually told them the truth 25 years later . . .
As evidenced by the story above, Highland Park Elementary School P.E. coach Jim DeLine didn’t start out as a completely straight arrow. But it didn’t take long for him to get on the right path; he began his career in education at the age of 23 and has now thirty-five years under his belt. Twenty-two of those have been spent teaching, but as DeLine puts it, he sees the whole “mosaic of what it takes to be an educator”. Having worked in educational research, administration, and business in addition to the classroom, he understands that each piece matters. Research drives decisions, money can be made, and the academic environment is a global one. All of this knowledge was in his equipment bag when he stepped into the HP gym. 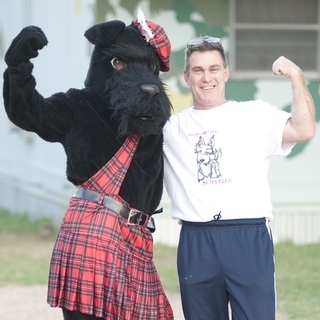 Jim DeLine is Highland Park Scottie strong! DeLine’s personal and professional philosophy is “trying to make the next step the best step.” But there are some who might view his decision to implement an archery program at an elementary school as falling outside that goal. DeLine himself admits to questioning his sanity just a bit, chuckling as he remembers first thinking about “grade schoolers with bows and arrows”. But his daughter Marianna was interested in the sport, and both Brave and the Hunger Games were in the media spotlight. So at the urging of a professional acquaintance, DeLine checked out the National Archery in the Schools Program (NASP) — and was immediately hooked. One of the things I love the most about archery is that you get out of it what you put into it. It’s a great sport for kids who aren’t necessarily the fastest or the strongest; or who aren’t into team sports. And boys and girls compete equally. So DeLine set out to raise some funds, with a modest goal of $5000. In a stroke of luck, he discovered that Paralympic medal-winning archer Lindsey Carmichael lives in the same city — and she was willing to help. 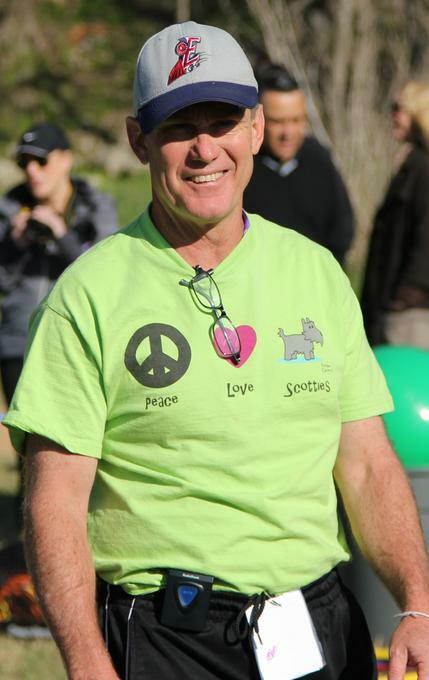 With school parents offering to double any pledges shot by Carmichael with her bow, and a generous donation from an inspired observer, the event ended up netting over $13,000. With those funds, and other community support, DeLine was able to implement the program not only at the 5th grade level, but eventually expanded it to lower grades as well. 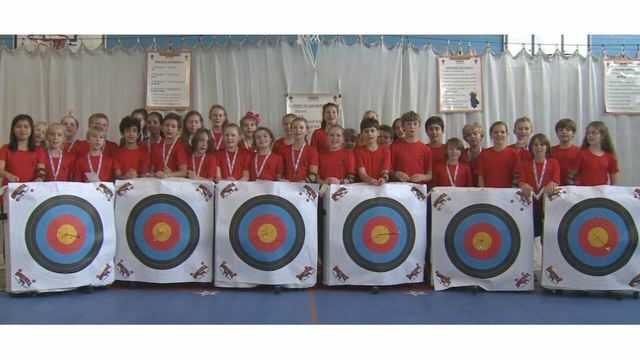 The Highland Park Elementary archery team has captured the Texas state title and won 4th in the NASP national competition. Even bigger things were awaiting the archery program, however. While DeLine never intended to compete, there was a clamoring interest in forming an archery team, and, like most of his endeavors, he went for it. In their first year of competition, Highland Park’s 5th graders took 2nd in the state of Texas, and 10th in the country. Just one year later, they capture the Texas state title, and placed 4th nationally at the NASP competition in Louisville, Kentucky. While many credit DeLine, he modestly demurs. “This is an example of what can happen when a community comes together on behalf of kids.” The club’s success not only reinforced the expansion of archery at Highland Park, but also powered the creation of a program at the middle school it feeds into. Currently, there are 55 students in the archery club at Lamar Middle School. You won’t find DeLine whooping it up after a victory, however. When asked how he prefers to celebrate, he responds “quietly”, without even a trace of irony. It’s in perfect keeping with a man whose ideal dinner guests would be Jesus and all four of his grandparents — and whose motto is simply, “humility”. A business RTI is a Return on Investment. My RTI is Return on Instruction. Business manages business with Excel sheets. I teach kids to excel on their feet. 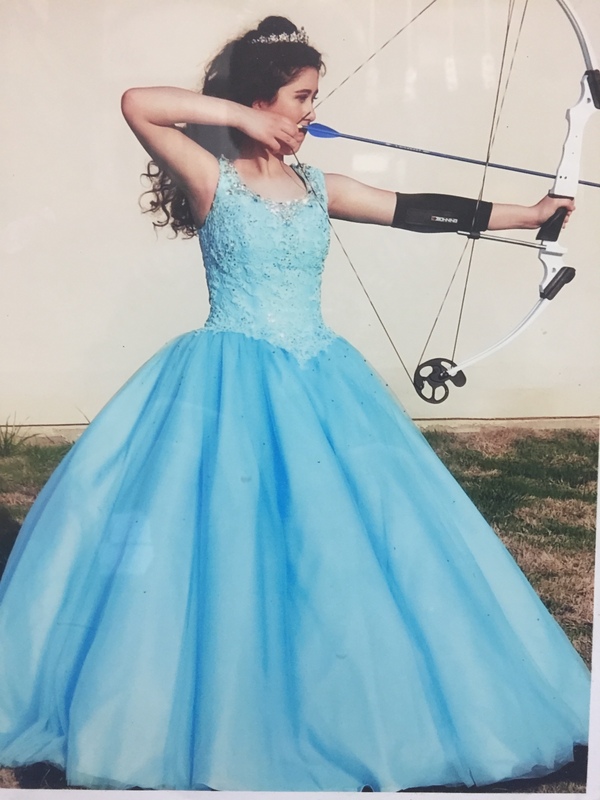 DeLine’s daughter Marianna’s quincinera photo reflects the interest in archery that inspired him to start the program Highland Park. His students are not the only ones DeLine is helping to achieve great things. He is acutely aware of the struggles his fellow educators face, and determined to help wherever he can. After his stint on the business side of the industry, he saw that there can indeed be money in education, and is helping fellow educators secure rights to their intellectual property so that they can earn additional income. The coach also travels frequently to conferences, where he revels in “meeting great minds” and seeing “teachers come together to help fellow teachers.” He has been an integral part of OPEN (Online Physical Education Program), a project helping to develop and distribute physical education curriculum free to other educators, and he would like to see other areas of the schools do the same with their curricula. After 35 years in education, DeLine still loves what he does. But with his youngest daughter nearly out of the nest, he admits that retirement has crossed his mind. Not necessarily in the traditional sense of “when do I do it?”, but more like, “what does it look like for me”? DeLine confesses that he doesn’t know yet what he’s shooting for next. He has many interests both inside and outside of education — including a passion for exploring minor league ballparks — and lots of options. But while his path might be uncertain, one thing is not. Whatever he sets his sights on, you can be sure he’ll nail it. Outcome Goals: This is where you determine where you want to be, or what you are trying to achieve. 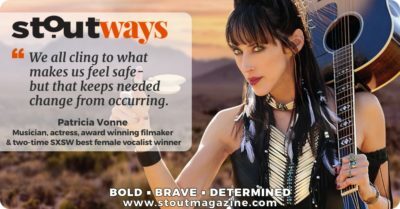 Self-discovery, honesty and openness are critical to this process. This is not the time for shoulds, but wants. What do you want to achieve? Where do you want to be? Tap into your passions for outcome goals that will matter to you and keep you motivated. Process Goals: This is where you figure out how you need to get there. There is where your practical side comes into play, breaking down the steps needed to move ahead. Which connections can you tap into, do you need additional learning, are there resources you require? It’s time to assemble your playbook. Long-Term Goals: You have come to an understanding that the grass isn’t greener on the other side — it is greener where you choose to water it. It may take time and action, but you can achieve what you are after. Short-term Goals: It’s time to start watering the grass. And each time you water, you achieve a deeper shade of green, until you have reached the lush lawn that is your long-term goal. 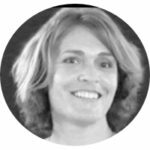 Jim DeLine serves on the development council of OPEN, whose mission to improve the effectiveness of physical education for every child by providing rigorous, outcomes-based curriculum tools to every physical education teacher – no exceptions. 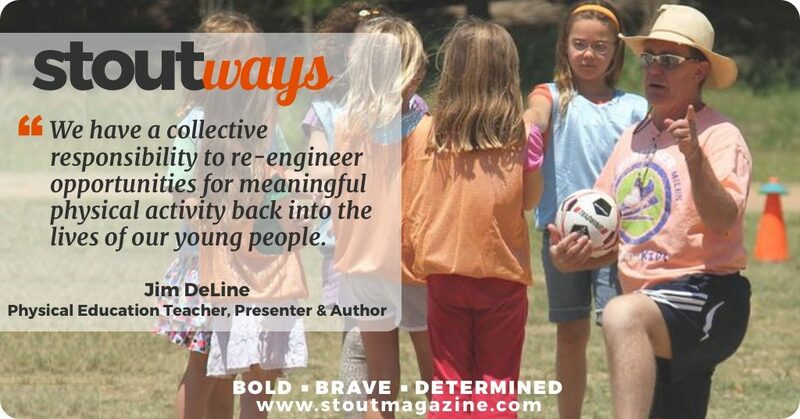 Want even more inspiration from our #StoutWAYS successes? 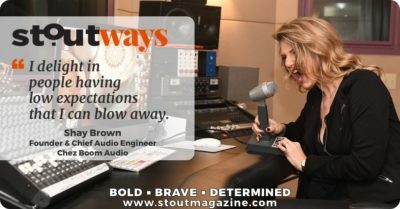 Take a deep dive into our StoutWAYS archives, and let their unique insights help #BringOutYourStout. Marianna’s quincinera photo by Laura Stiles, all others courtesy of Gym Solutions.